Andalusian style villa located in an exclusive urbanization with 24 hours security and only 10 minutes away from Puerto Banus - Marbella. 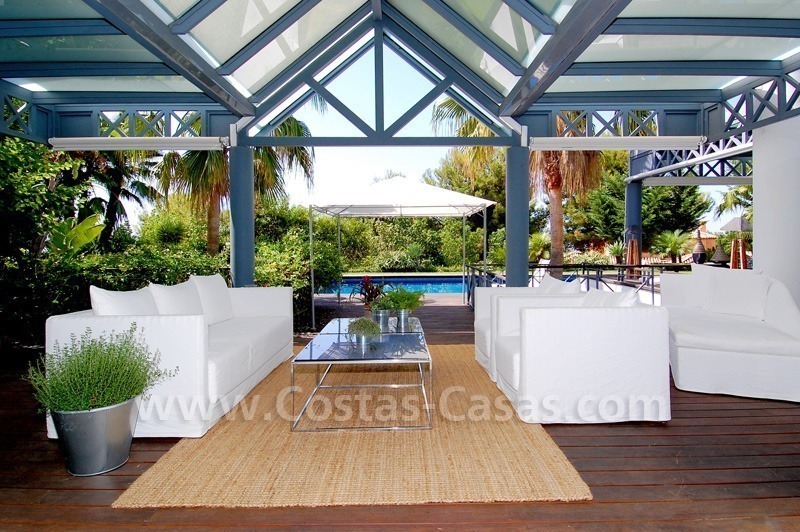 Plot of more than 4.000 m2 with a well kept private garden and swimming-pool. Good privacy where we can find the main house and the guest house. 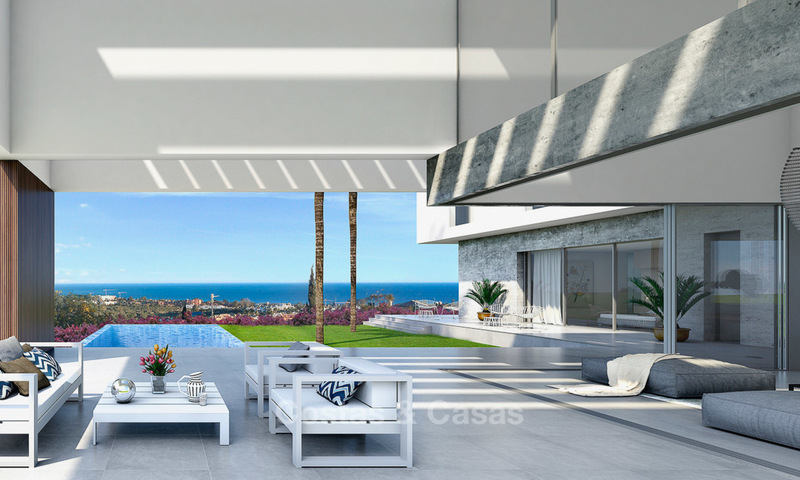 Uninterrupted views over the mountains and the sea through the green area and to Puerto Banus – Marbella. Total accommodation of over 1.000m2 m2 split in three different levels. 5 bedrooms and 5 bathrooms plus 1 guest toilet. Living room with a separate dining area with fireplace. Fully fitted and equipped kitchen with Miele and Gaggeneau appliances, with cooking island and breakfast area. Main bedroom with bath en-suite, dressing area and sitting area. In the basement we can find a1 bedroom guest apartment with bath en-suite, living area, kitchenette and separate entrance. 2 bedroom and 2 bathrooms en-suite plus 1 guest toilet. Living room with a separate dining room with fireplace. Fully fitted and equipped kitchen with Doimo appliances. Cream marble in the main areas. Music sound system throughout. . Luxury villa to buy in one of the most tranquil and sought after areas in the area of Benahavis – Marbella and only a few minutes drive to Puerto Banús with stunning views over the green area towards the sea and the mountains, located in a peaceful area in the middle of the nature. Update: Reduced in price from 3.800.000 €. Including decoration and furnishing.